Is Your Business In Trouble? Are You Paying the Bills with Employee Tax Withholdings? Bad Idea! You Will Never Get Rid of the Debt in Bankruptcy! Tax debt is often a driving force behind the filing of a bankruptcy, either for individuals, or a business. If it is income tax for individuals, it can be discharged in bankruptcy if it is more than three years old and meets certain requirements under the bankruptcy code. However, one kind of tax debt that will never go away, like alimony and child support, is something called trust fund tax debt. This is not so much a tax on individuals as a penalty levied upon them that is equal to the funds withheld from employee wages by a business that it should have turned over to the appropriate taxing authority, but did not. This raises a couple points. Don't Take the Government's Money! First of all, if your business is going through a rough patch, do not use the trust fund money to pay operating expenses. That money is not yours, it is payment on the tax debt of your employees, and must be preserved. It must also be turned over to the taxing authorities within a particular period of time, so don't even be late! If your business goes under, and it is a corporation or LLC, you can let regular unsecured creditors go wanting. If you do that to the IRS or the New Jersey State Department of Revenue, however, they will hold you personally responsible, and it will never go away. Don't Let Your Boss Get You In Trouble! did the employee serve as an officer or director of the company? did the employee control the company's payroll? did the employee determine which of the company's creditors to pay and when to pay them? did the employee participate in the corporations day to day management? did the employee have the ability to hire and fire employees? did the employee possess the power to write checks? In this instance, you come first, and not the business; be sure that your employer understands that you cannot allow that tax to remain unpaid, as you could be made to pay it yourself. Do not let a drowning man take you down with him. 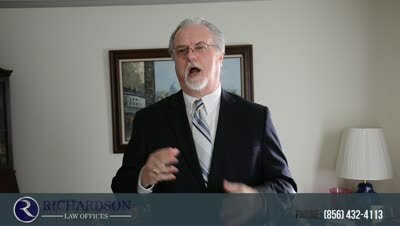 The bottom line here is that if you live in southern New Jersey, are contemplating filing bankruptcy, and think that you may have one of these problems, please feel free to call me at 856-432-4113 or contact me through this site for a free consultation in my Woodbury office to discuss your case. If you are looking for more information about bankruptcy, then download my free book,Top Questions People Ask About Filing Bankruptcy in New Jersey! Can income taxes be discharged in bankruptcy?